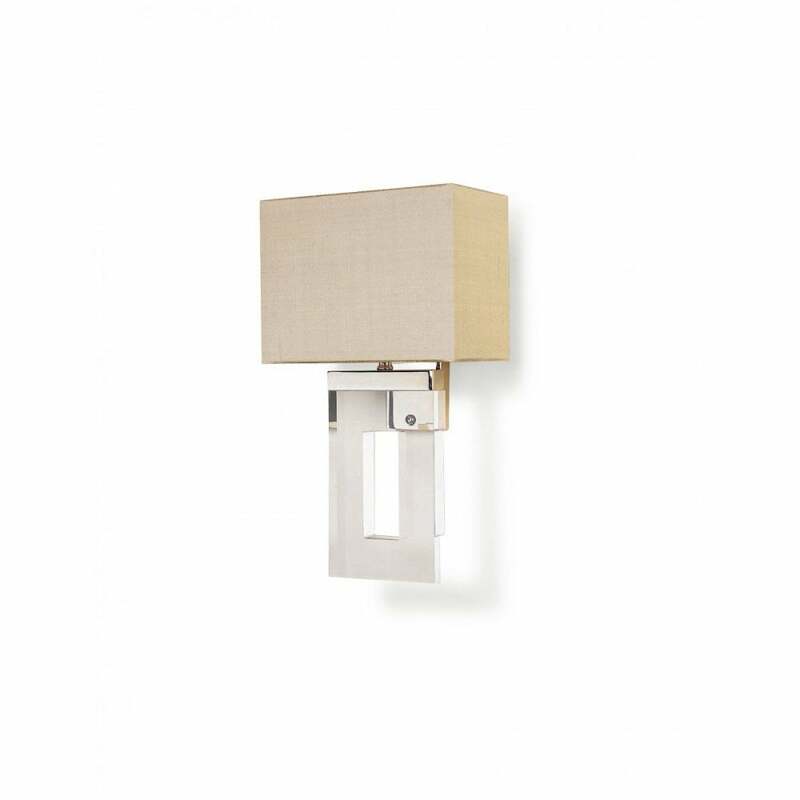 This Wall Light is so useful as a simple, contemporary solution. The bright Perspex rectangle has sharp edges that refract the light beautifully. It has smart nickel detailing and takes a neat shade.